There’s a lot that goes into ranking articles in Google. For starters, your content needs to be top notch. You also need to drive high quality and relevant backlinks to your post. Without proper on-page SEO, everything else goes down the drain. You can write a killer piece of content and drive tons of backlinks to it, but if you’re targeting the wrong keywords, you could be missing out on floods of free traffic. 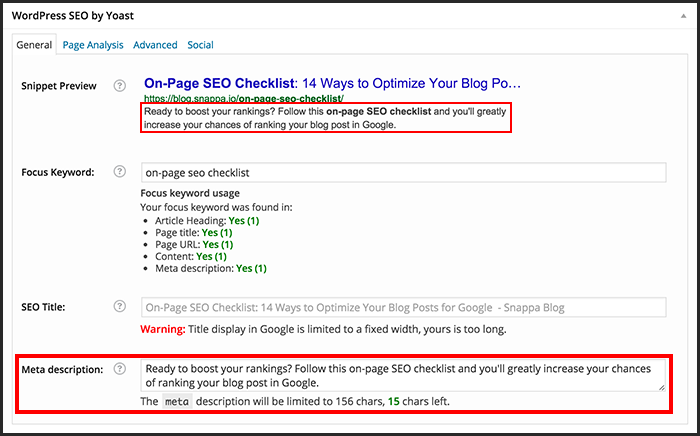 Before you publish any blog post, it’s important to run it through an on-page SEO checklist to make sure that everything is covered. Doing so increases the chances of your article ranking for relevant keywords. In this article, I’ll discuss 14 steps to optimize your blog post for Google. This goes without saying, but it’s important that you write high quality content if you’re hoping to rank for keywords. All the on-page optimization in the world won’t help you if no one finds your content useful. Google has a host of ranking factors that help them decide whether your page is high quality or not. If no one is linking to your content and your bounce rate is off the charts, there’s no way you’re going to rank for anything. 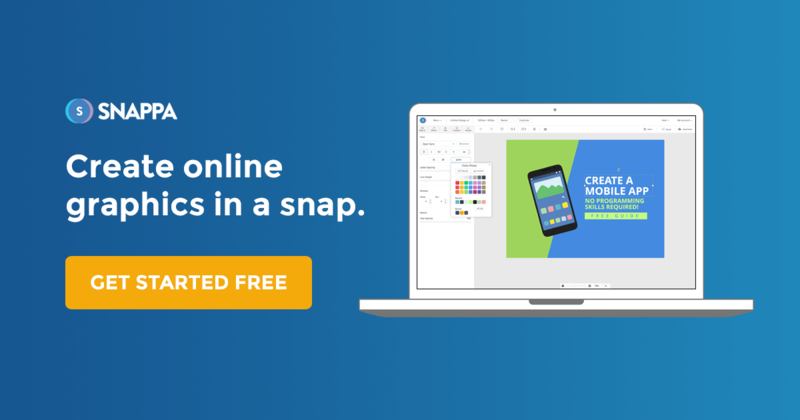 If you’ve been keeping up with the latest tech news, then I’m sure you’ve heard all about “Mobilegeddon.” If not, Google recently announced that they’re going to start favouring mobile-friendly websites in their mobile search rankings. With so many people browsing social media and reading content on their phones, it’s paramount that your site is responsive and delivers a good experience. Otherwise, you may be slapped by Google. 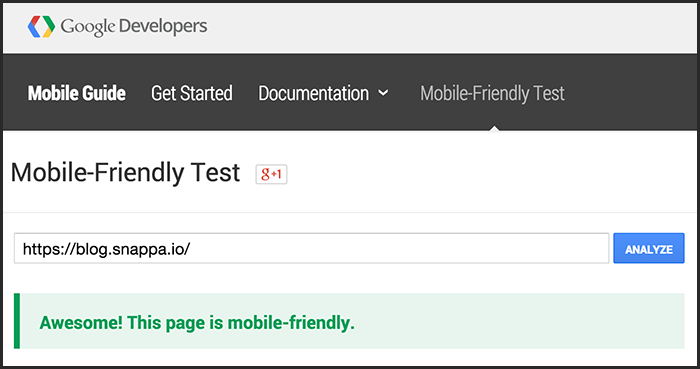 If you want to make sure your site won’t be penalized, you can use Google’s mobile friendly test tool. Search algorithms have evolved considerably over time, but keywords and backlinks are still the backbone of search engine rankings. Targeting a keyword with high search volume and (preferably) low competition is critical for success. To identify what keywords you should target, the best place to start is the Google Keyword planner. For this post, I knew I wanted to write about on-page SEO. When I typed this into the Google keyword planner, I saw that there was 3,600 average monthly searches. This is definitely something that was worth ranking for. However, I noticed that ‘on-page SEO checklist’ had 480 monthly searches but the competition wasn’t as intense. 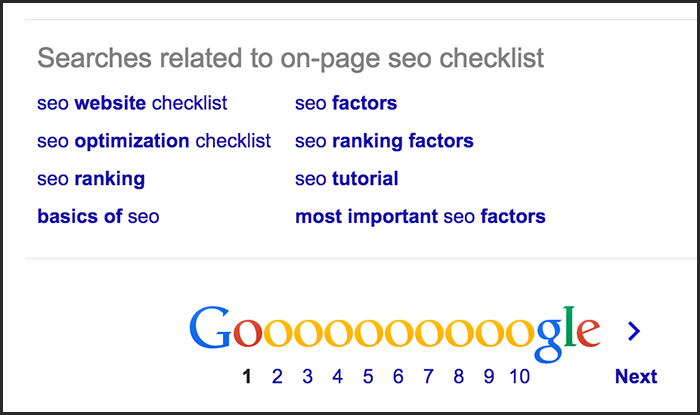 As a result, I decided to target this keyword and write a comprehensive SEO checklist. There’s a ton of information on keyword research that is beyond the scope of this post, but the important thing to note here is that if you want to rank in the search engines, you need to target one main keyword that actually has search volume. Notice where my keyword is in the title of this blog post? That’s right, at the beginning. Depending on your title and your keyword, it might not be possible to put it directly at the starting off your title. However, the closer to the front the better. If you’re using WordPress to publish your blog posts, properly structuring your permalinks is very important. You always want to customize your URLs rather than using the defaults. Google has no idea what your image is about unless you tell it what your image is about. This is exactly what ALT tags are used for – to give a written description of your image that search engines can read. As you can imagine, this is critical for image heavy content. Not only does adding ALT tags enable you to add more relevant keywords to your article, it can also help you rank in Google images, potentially sending additional traffic your way. When adding multimedia into WordPress, always add the description of the image in the alt text. Your meta description isn’t exactly a ranking factor, but it’s important nonetheless. Your meta description is the text users will see beneath your headline in the search results. If you want to grab readers’ attention and boost your click-through rates, it’s very important to have a solid meta description that will entice users to read your post. If you’re using WordPress, I highly recommend the WordPress SEO Plugin by Yoast. Once installed, you’ll be able to easily add your own meta description to your blog posts without digging through the HTML code. You always want to make sure that the name of your article is included in your title tag. If you’ve installed the WordPress SEO plugin by Yoast, it will do exactly this by default (and it will also add the name of your blog to the end of it). Next, you want to ensure that the title of your post is wrapped in an H1 tag. This will be done automatically in WordPress as long as you don’t have a theme or plugin installed that overrides this behaviour. 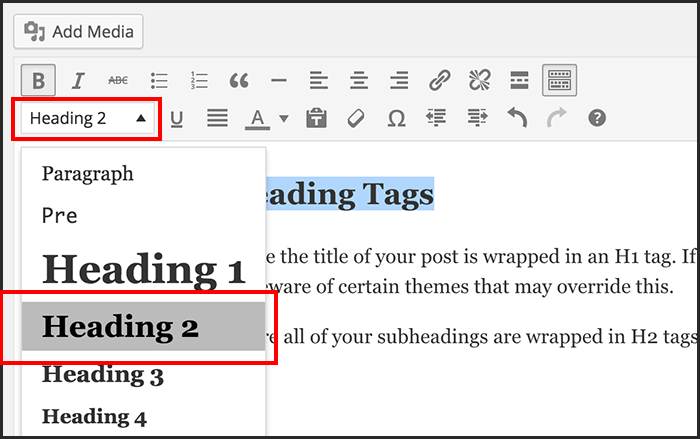 Finally, you want to make sure that all of your subheadings are wrapped in H2 tags. When you’re writing out your post, select *Heading 2* in the visual editor. Back in the early days of Google, the goal was to stuff your keyword in the post as many times as possible. Thankfully, these days are long gone. What you do want to make sure is that you’ve sprinkled in some related keywords into your post. Using related keywords reinforces what your content is actually about, and will help you rank for your main keyword. As I mentioned in a previous post, long form content has been statistically proven to get shared more than shorter-form content. 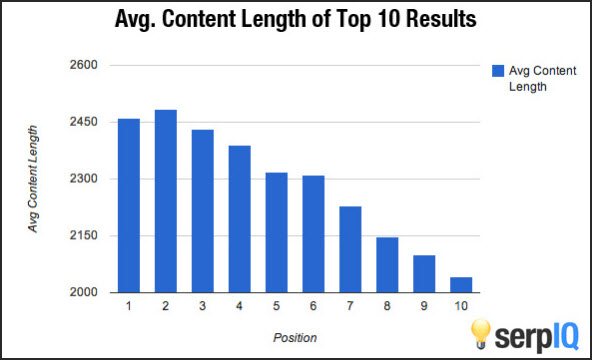 It’s no surprise that long form content ranks better in search engines too. If you think about it, this only makes sense. Longer articles have way more opportunity to provide value than a 500 word article. If you’re looking to rank for a highly competitive keyword, you should be aiming for well over 1,000 words. When relevant, you should be linking to previous articles written on your site. This won’t really help your current post rank higher, but it will spread some link juice across the rest of your site, and potentially prop up some of your other articles. Not only can internal linking help boost the rankings of other articles, it will also improve the link architecture of your site. This makes it easier for Google to crawl your site and ensures that your posts are getting properly indexed. Back in the day, people used to be scared to link out to other articles because they didn’t want to dilute their link juice. Today though, this is a terrible strategy. Not only should you be linking to your own internal pages, but you should also be linking out to other relevant articles. Doing so only reinforces to Google that your information is valuable and trustworthy. It also reinforces the messaging of your post. If you’re writing about conversion rate optimization and you’re linking out to case studies of people boosting their conversion rates, it helps boost the relevancy and chances of ranking for those keywords. If you’re looking for articles to link out to, usually a simple Google search will suffice. Or, you can enter your topic in BuzzSumo and look at some of the best performing articles to reference. Google’s main priority is to deliver quality and relevant search results to its users. One of the things that can frustrate users is a slow site. For this reason, Google began incorporating side speed in search rankings several years ago. The easiest way to speed up your site is to upgrade your hosting. The difference between a shared hosting plan and a dedicated host can be quite significant. If your business can afford it, this is something to consider. A more advanced step would be to use a Content Delivery Network (CDN) which will speed up the delivery of your content. 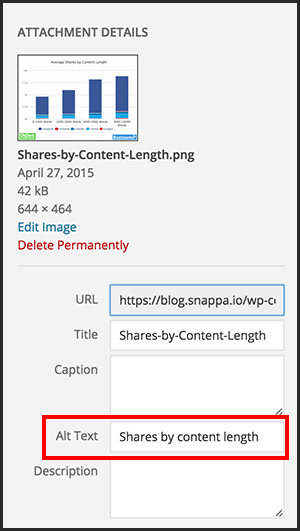 If you’re adding a ton of images in your blog posts, this might be key. 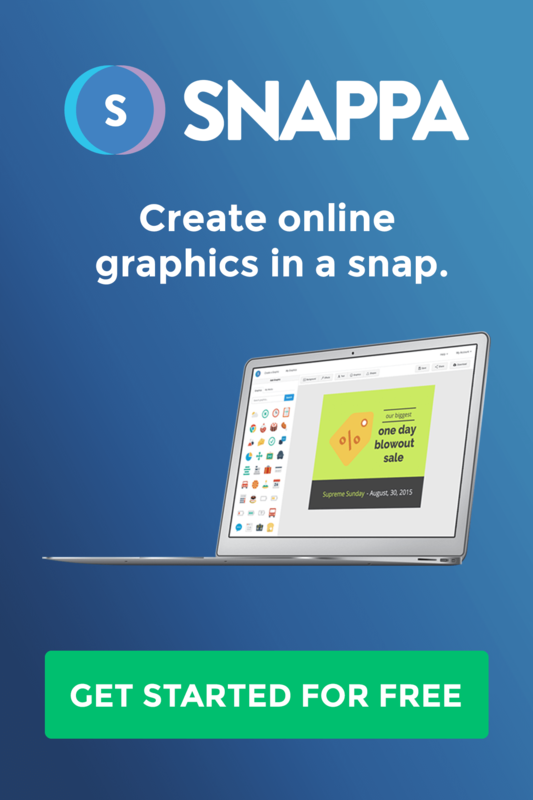 At a minimum, you should be optimizing your images for load times by keeping image sizes in check, and compressing them if need be. Believe it or not, poor grammar and spelling can actually affect the ranking of your post. So before you hit publish, make sure to proof-read it sufficiently. If possible, get a second pair of eyes to look over your post. Whenever I get someone to read over my posts, they almost always spot errors that I missed the first time around. There you have it! 14 ways to optimize your blog posts for Google. Follow this SEO checklist and I’m confident you’ll see positive results.